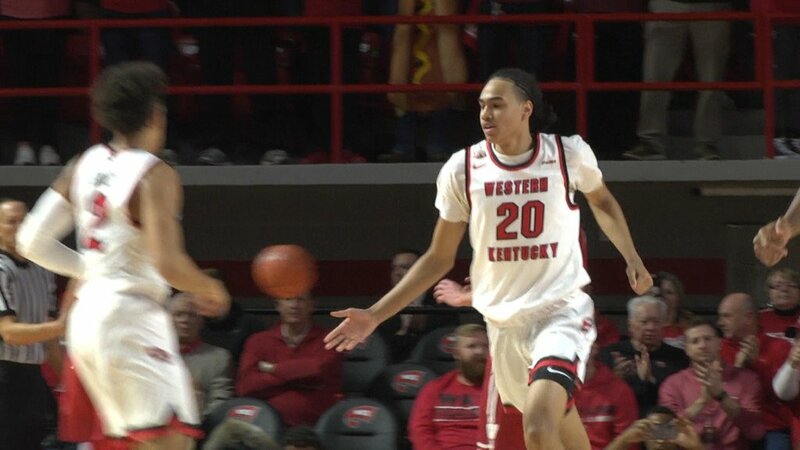 BOWLING GREEN, Ky. – Freshman point guard has elected to transfer from the Western Kentucky Men’s Basketball program after just one season on the Hill. A spokesperson for the team confirmed the reports about Banton’s decision to leave WKU. In his lone season with the Hilltoppers, Banton appeared in 31 games, starting in 12 of them while redshirt-senior point guard Lamonte Bearden was suspended. After Bearden returned from suspension, though, Banton saw his minutes decline, seeing the court for less than seven minutes in each of the Hilltoppers’ final six games of the season. The freshman averaged 3.4 points, 2.1 assists, and 3 rebounds per game, but he’ll be remembered for his near triple-double performance (8 points, 10 assists, 13 rebounds) in WKU’s upset win over then 15th-ranked Wisconsin at Diddle Arena on Dec. 29, 2018. With Banton’s decision to transfer and Bearden lost through graduation, the Hilltoppers currently have no true point guards on their roster heading into the 2019-2020 season.